Assemblymember Bill Quirk (D-Hayward), Kaiser Permanente, and Legal Assistance for Seniors hosted a Senior Care and Life Planning Seminar last week at the Kenneth C. Aitken Senior Center where seniors and their families were in attendance. Attendees received valuable information on planning for their futures, like how to complete an advance directive or “living will”, and learned about the type of conversations they need to be having now with their agent, family, and doctor. 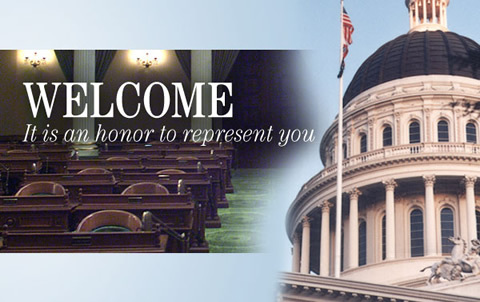 SACRAMENTO – The California Association of Certified Unified Program Agencies (CUPA) named Assemblymember Bill Quirk (D-Hayward) as their 2019 Legislator of the Year. The award was revealed at the 21st Unified Program Training Conference during their Leadership Session at opening ceremony in Anaheim Marriott. SACRAMENTO – The California Legislature celebrated Women’s History Month by honoring women who have contributed to their community. Assemblymember Bill Quirk (D-Hayward) chose to honor Hayward City Councilmember, Aisha Wahab, at this year’s Woman of the Year Ceremony. “This annual celebration is an opportunity for us to collectively celebrate the strides women have made in our communities and how they have changed history. Moreover, I hope that this ceremony serves to inspire young women,” said Assemblymember Quirk. SACRAMENTO – Assemblymember Bill Quirk (D-Hayward) has introduced legislation that will improve labeling standards for dietary supplements containing live microorganisms, also referred to as over-the-counter (OTC) probiotics. “It is important that consumers know exactly which and how many microorganisms they're consuming,” explained Assemblymember Quirk, “We cannot expect these products to be labeled consistently without standardization." @Eric_Lee_822 @UCCenterSac I can't say I didn't have fun.